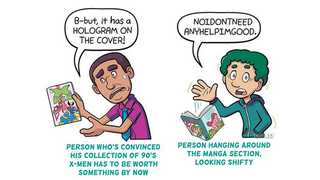 Comic book stores are still around, and if you’ve visited any of them, you’d probably bumped into one of these people in Dorkly’s list. Check out the full gallery at Dorkly as it’s a pretty much complete rundown. Hard to come up with a type not featured over there!